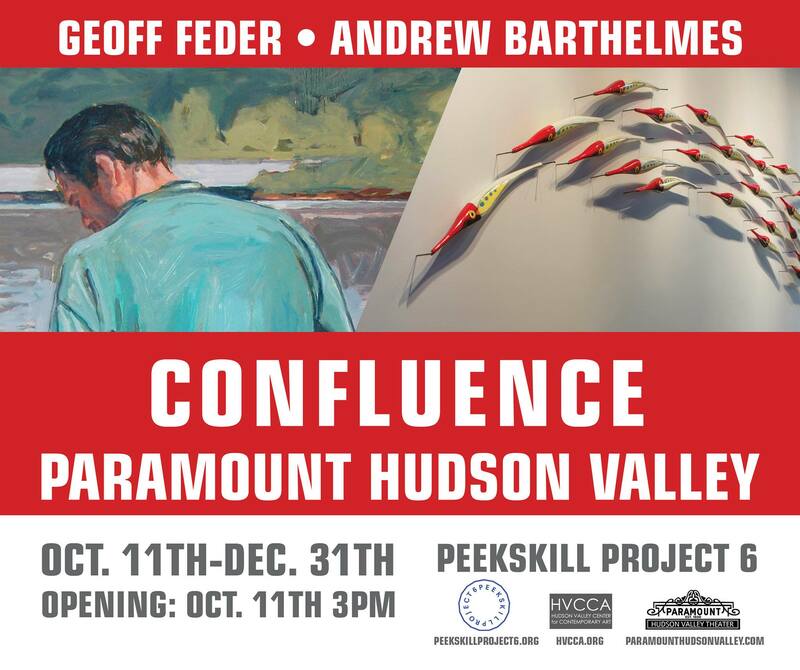 Confluence Opens this Sunday at Paramount Hudson Valley | PEEKSKILL ROCKS! Don’t miss this two-man show featuring the work of Geoff Feder and Andrew Barthelmes. Geoff is a sculptor and curator for Peekskill Project 6, and Andrew is a painter who created a sculpture for Peekskill project 6. The two artists will attempt to show the relationship between their work.